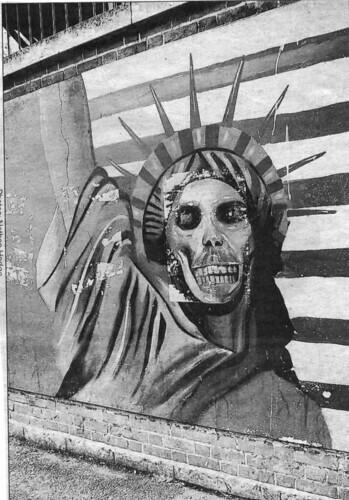 Many Americans are not accustomed to the idea that America sits atop a global empire, but with military bases and forces spread out across the world, interventions in dozens of countries – there’s simply no other way to describe our “empire.” Expansion is the path to security, and to achieve security you have to control everything of value. This is the blueprint that has guided US leaders for decades, but is this empire worth building – and at what cost? This entry was posted in All Posts News Politics and-or Videos, China, Dandelion Salad Videos, Empire, History, Imperialism, Politics, Propaganda and tagged Noam Chomsky. Bookmark the permalink. “We” don’t own the world, the international corporations own the world. The US government and military are merely tools in the billionaires’ control. With the new brand of trade deals, conflicts are managed by international corporate tribunals. They even have the power to override federal, state and local laws. Corporate control of government is fascism, like in the 1920s. World fascism means international corporate control. Always enviably clear and direct….